Rapper King Kaka has bagged yet another lucrative endorsement. The artist turned businessman, announced that he’s been picked as the first ever East African brand ambassador of Remy Martin cognac. Taking to social media, the rapper made the announcement with two posts. “Power without impact is useless. I believe in success with responsibility #KingKakaOneLife unfolding,” said King Kaka in the first post. “GOOD NEWS!!!!!! 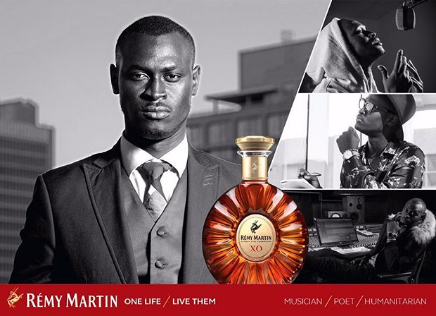 Another win, The 1st in East Africa , King Kaka , REMY MARTIN Ambassador for One Life Live Them, Premium Meets Premium. The news comes just days after the rapper also announced that he’ll be giving a talk along side Bill Gates in New York. His daughter Gweth has also bagged an endorsement with Marini Naturals as as the ambassador for their new product Marini Kids. She was announced yesterday by the CEO of the company, Michelle Ntalami.